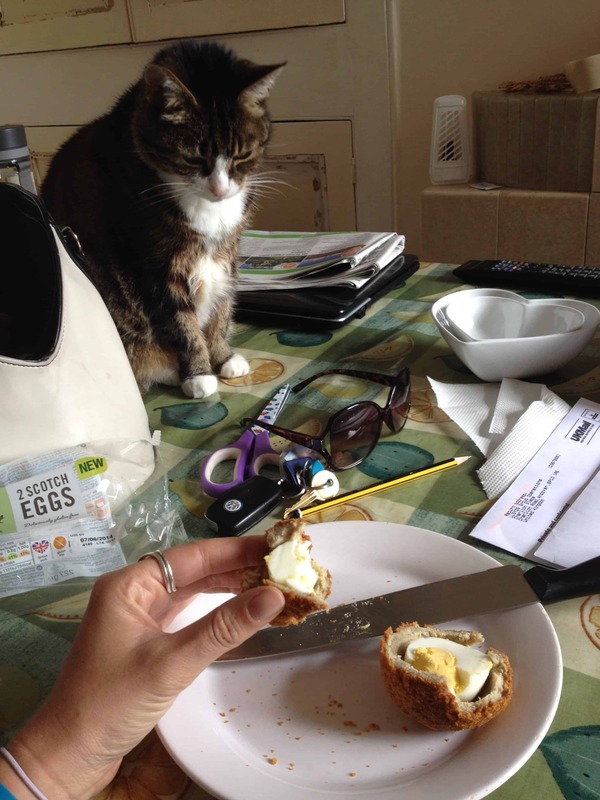 The last time I had a scotch egg was in my pre-coeliac days. I remember not being that fussed about them at the time, but in recent years it has become one of those foods that, because I can’t have it, I want it. 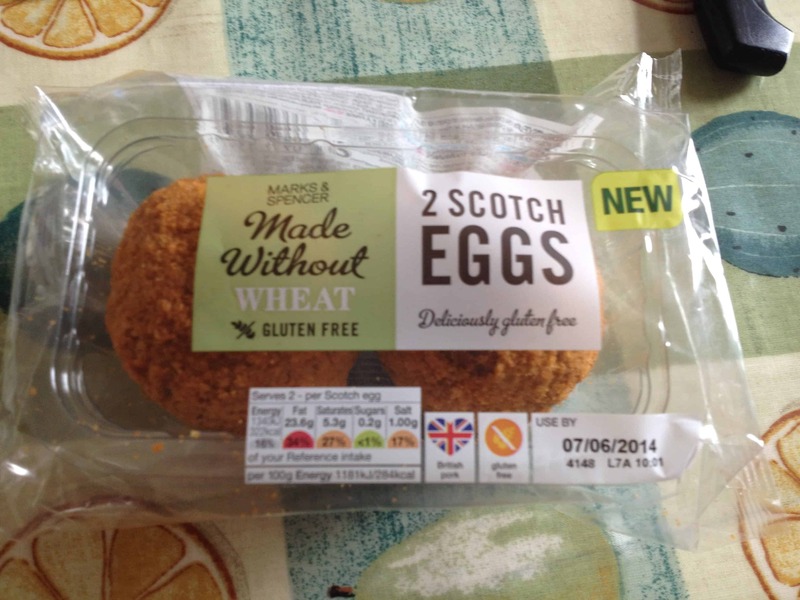 So when I saw some posts flying around Facebook and Twitter that Marks and Spencer had launched some gluten free scotch eggs to their Made Without Wheat range, I jumped straight in the car! Barnstaple’s M&S store didn’t disappoint – I found them nestled among two other new products – gluten free quiches. I expected them, like most gluten free products, to be a miniature version of the real thing, so imagine my shock and surprise when I realised they were about the size of a tennis ball! I was delighted, and rushed home to try them. The results were as good as I had expected. 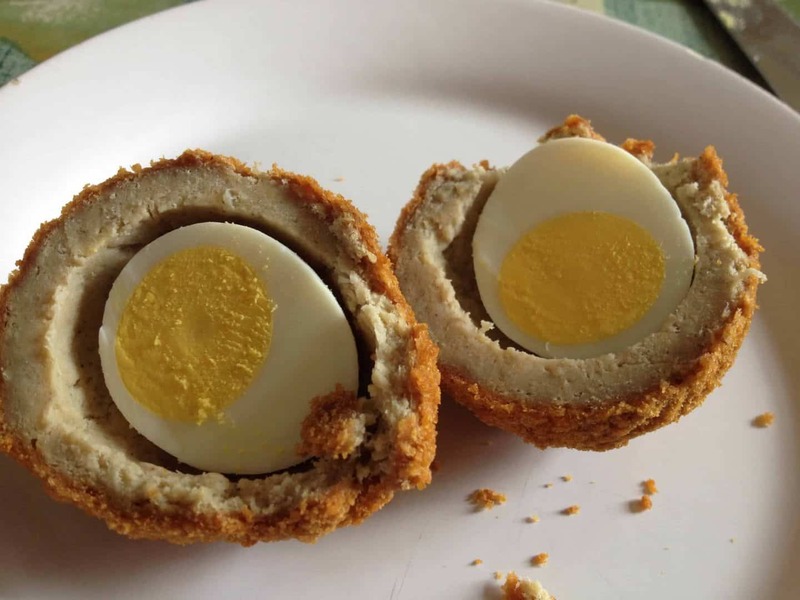 A rich, meaty sausage filling, the soft egg in the centre, all wrapped in a golden crumb. Delicious. I tried to tackle the whole thing at once, but ended up having to cut them in half! I daren’t look at the calories involved, as I got a bit carried away and ate them both in one sitting! I didn’t try the quiches this time, but they did also look very good. I think M&S have brought out a whole new load of gluten free goodies – I have heard very good things about the cake – but in my haste to get back and devour the scotch egg I didn’t get a chance to investigate! These would be great for parties – they always make me think of summer picnics. Now if someone could just fetch me some Pimms…. Previous Post Gluten free cake heaven at Tea on the Green, Westward Ho! This excites me! Now please, for the love of god, someone bring out a gluten free pork pie. Oh wow, I literally jumped a little from my seat when I saw this (oh dear). How exciting it’s good to know there are more things you can pick up to eat there and then and fill picnics with, their gluten free chocolate loaf and crispy squares are amazing. I’m always a bit disappointed with their bread though.